At a single viewing, it is impossible to pin this beautifully elusive play down... What I can say for certain is that Zeller's play penetrates the memory long after one has left the theatre. Why See The Height of the Storm? 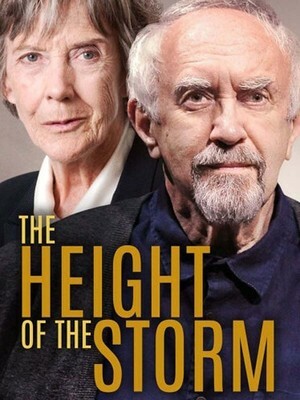 Three-time Olivier Award-winning actress Dame Eileen Atkins and two-time Olivier and Tony Award winning stage and screen veteran Jonathan Pryce prove a magnetic combination as the play's lead characters. Praised for their nuanced and empathic performances, their partnership is the stuff of theatre legend. Together they mine the depths of the relationship between man and wife as they struggle to let go of the past in the face of an unknown future. What Is The Height Of The Storm About? 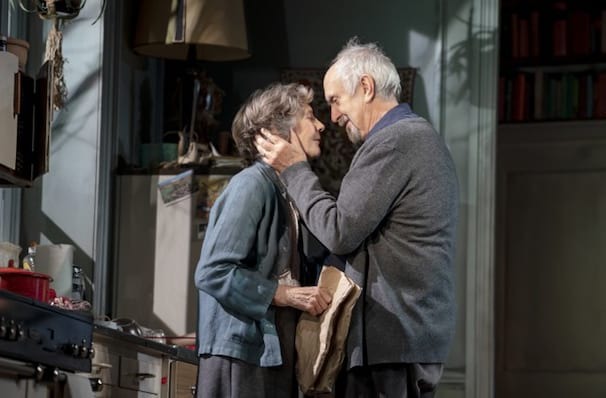 Pryce portrays Andre, a husband and family man who's spent the last 50 years of his life weathering the storms and enjoying the bliss of his lifelong partnership with his wife Madeleine. Fiercely the captain of his ship, Andre's world begins to crumble with the onset of Alzheimer's. His authoritative march forward grinds to a halt when bewilderment and trembling hands replace assurance and sure-footedness, made all the more confusing by his daughters' bright ideas about how best to handle him and the situation. A paragon of female fortitude, Madeleine remains his link to a once normal life as she braves the storm and faces the reality of their fading days. Seen The Height of the Storm? Loved it? Hated it? Sound good to you? Share this page on social media and let your friends know about The Height of the Storm at Samuel J. Friedman Theatre.